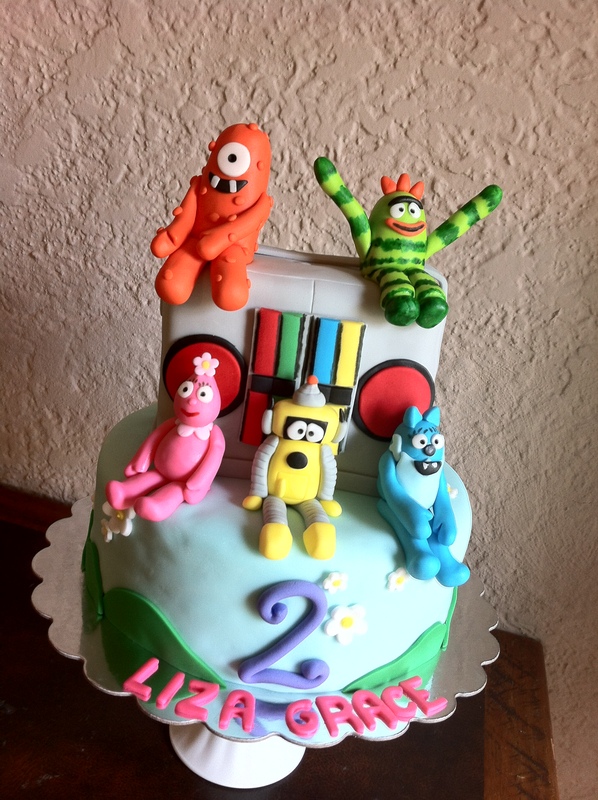 A local Crestview Mother called that had previously had one of my wedding cakes and requested a Yo Gaba Gaba birthday cake for her daughter Liza Grace. Specifically, she wanted one that had a fun inside to match the crazy rainbow colors of the characters. She had found a picture that had incorporated the boombox and the 5 main characters (Muna, Foofa, Brobee, Toodee, Plex) and asked if I could create something similar. As you can see below, it captured the essence of the show pretty well! Yo Gaba Gaba birthday cake with Muna, Foofa, Brobee, Toodee, Plex characters and boombox. And every year for my husband’s birthday I like to post this youtube video on my husband’s facebook page since Yo Gaba Gaba is amazing!! Are their any kids shows that you enjoy watching even as an adult? 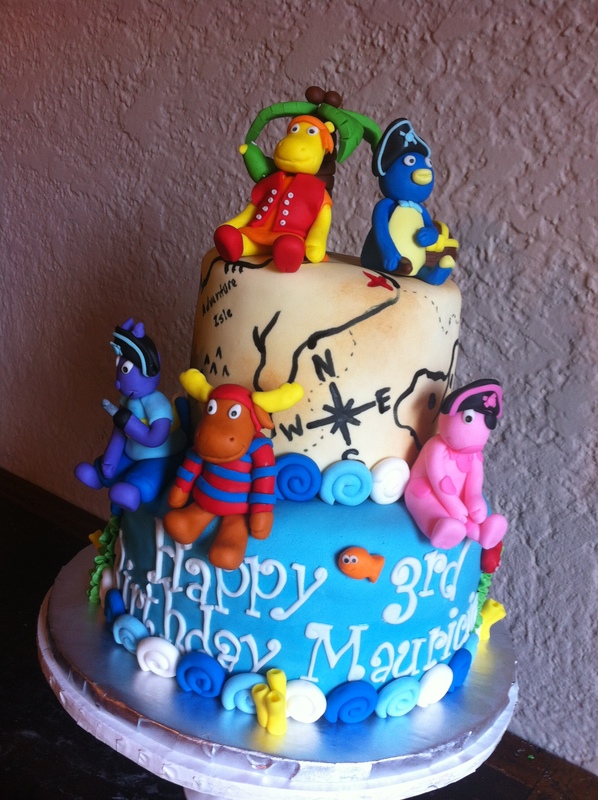 Feel free to check out some of my other cakes with childhood themes from the books of Dr. Seuss, smartphone games like Angry Birds, & every boy’s dream of becoming a pirate. The mother who ordered this cake was a previous client that had ordered a Dallas cowboy cake for her father’s birthday last year. Since then, she has become addicted to my cupcakes. 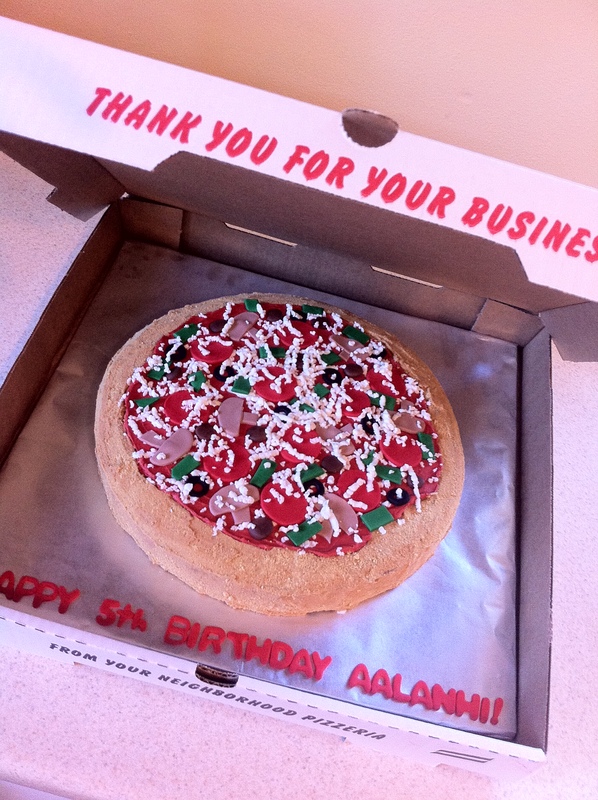 When her son’s first birthday came around, she couldn’t resist getting a cake from me. Unlike most mom’s of one year olds, she didn’t go with the typical theme (like Mickey Mouse, or anything in shades of baby blue). Oh no, she is way to cool for that, her kid was turning one, so he needed a “1up” birthday cake, Super Mario Brothers style. 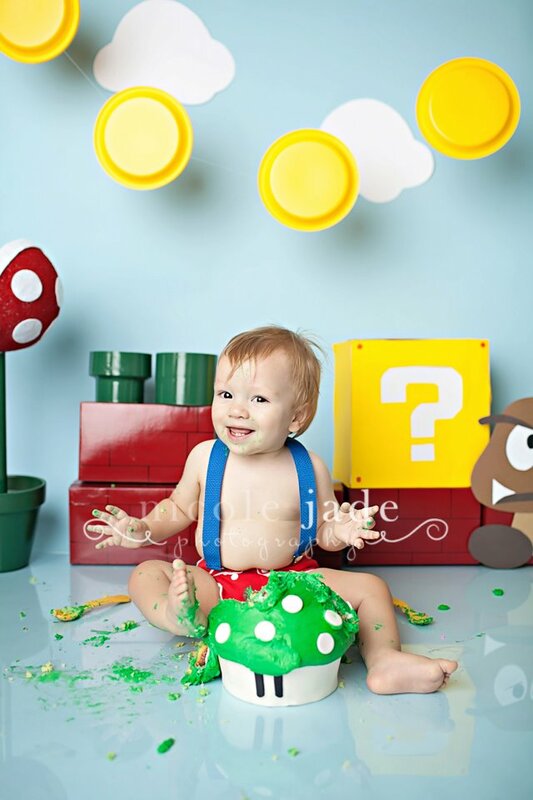 Instead of having the smash cake at the traditional first birthday party, she used it for a photo shoot for his 1st birthday photos. Nicole Jade Photography took this photo and I love the background and all of the detail. Love it when people include me in their creative celebrations. 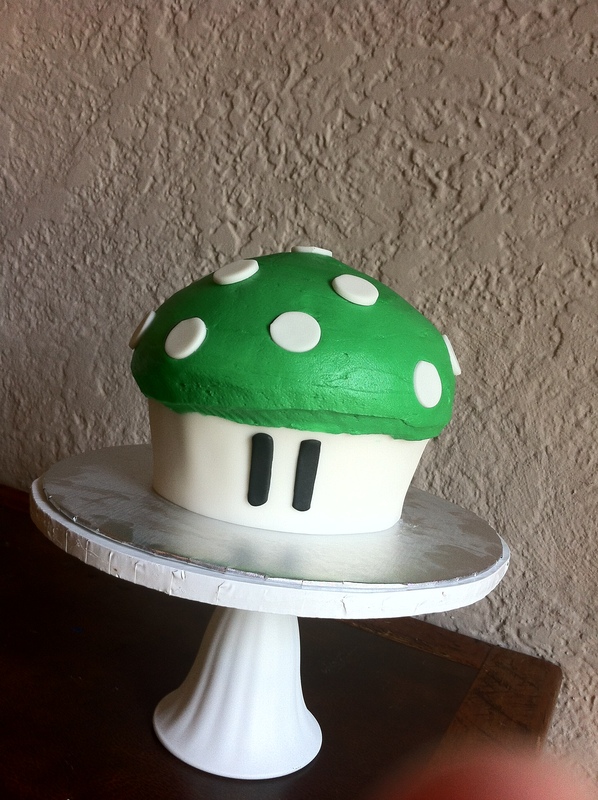 Here is the 1up Mushroom cake before William got a hold of it. Quick background on Super Mario Brothers. Created in 1985 for the Nintendo gaming console and one of the most popular selling games of all time. I even bought the Nintendo DS version for my kids and it was nice to see them loving the game as much as I did as a kid. The first thing that comes to mind when I think of a Dr. Seuss birthday cake would be a tall, whimsical masterpiece with colorful characters and a cake that would tilt and turn towards the ceiling. But, you also have to keep in mind these cakes don’t have an unlimited budget and a 1 yr old has no need for a 6 tier cake that captures the essence of many of these cherished childrens books. 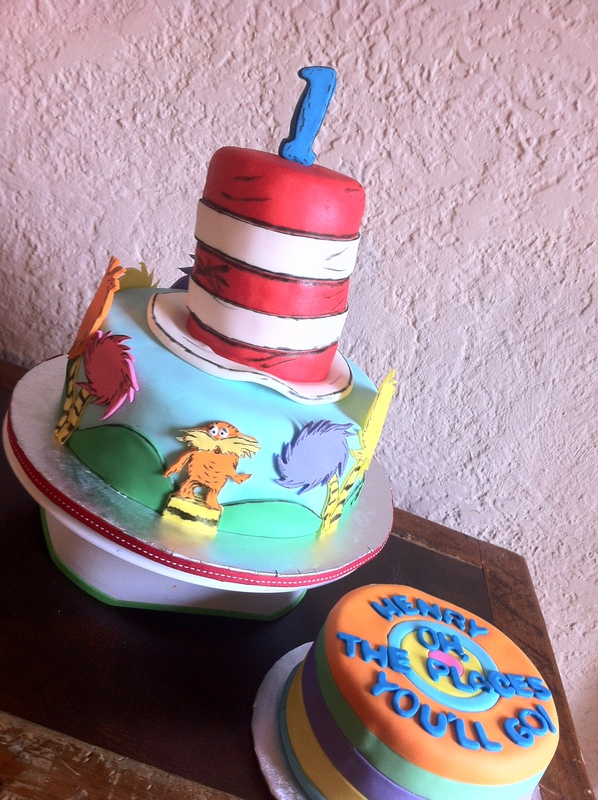 I kept this cake simplified with a 2 tier design that included the unforgettable hat from “Cat in the Hat“, the Lorax & his truffula trees, and the phrase, “Oh the places we will go”. If had more tiers you can bet I would of added some green eggs and ham & more. This cake was the centerpiece for a book themed party. Instead of asking for presents, all the parents wanted was books for their child, a genius idea! Since most presents are played for briefly and forgotten, books are a longer lasting gift that has numerous positive benefits for a growing mind. Dr. Seuss birthday cake and smash cake. Includes the Dr. Suess Hat, the Lorax, and the saying “Oh the Places we will go”! 1980s Themed Dream Birthday Cake! I love it when a client knows exactly what they want, especially when it’s something that I’ve never done before! But a mother bringing in a sketch of a cake, that her 12 year old daughter drew, for me to make a reality, now that’s a dream-come-true! 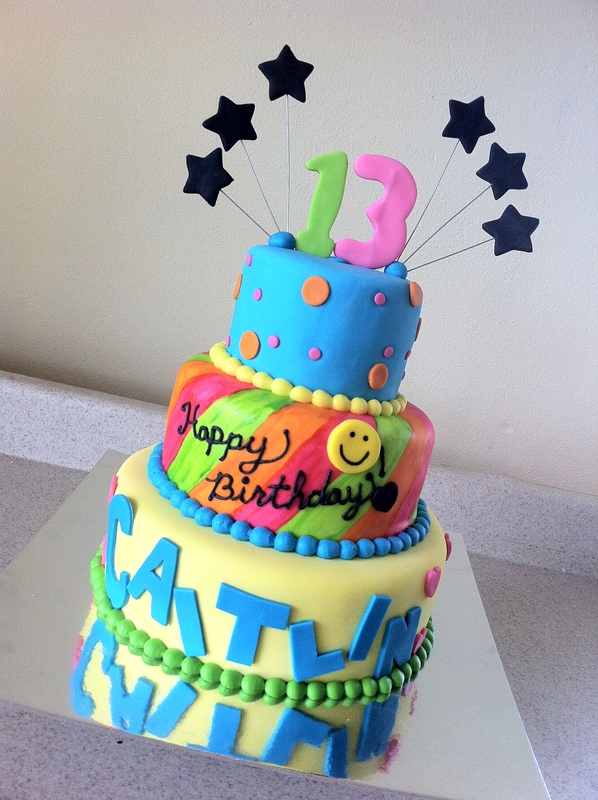 Especially if the cake is a totally rad 80’s vibe themed cake that looks adorable! 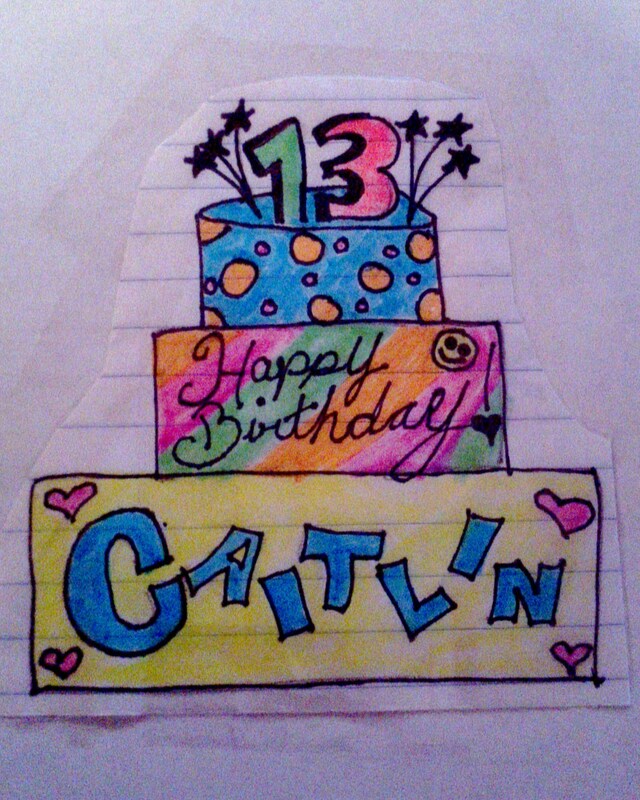 Here’s the sketch of the cake! 80s birthday cake sketch with rainbow, polka dots, stars, & hearts. When it came time to pick up the cake, mom brought Caitlin along to surprise her. As Caitlin was jumping up and down, squealing over her cake, she stopped, looked at her mom in confusion, and asked, “Then, why did we just buy a cake from Walmart?” That’s right, Caitlin’s mom bought a decoy cake. Now that’s commitment! 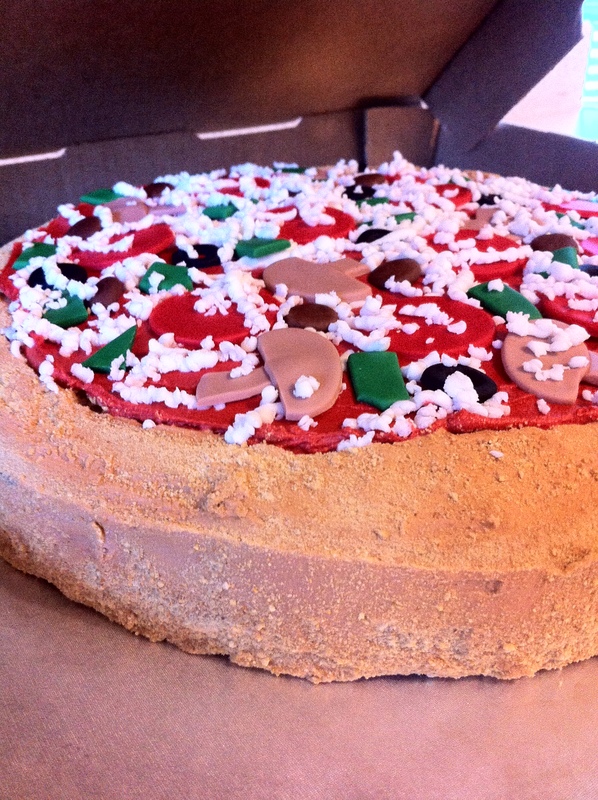 This was one of my absolute favorite cakes to make. I felt so privileged to be included in the surprise. Oh and I told Caitlin to come see me in 3 years, because I could put her talent to good use!!! 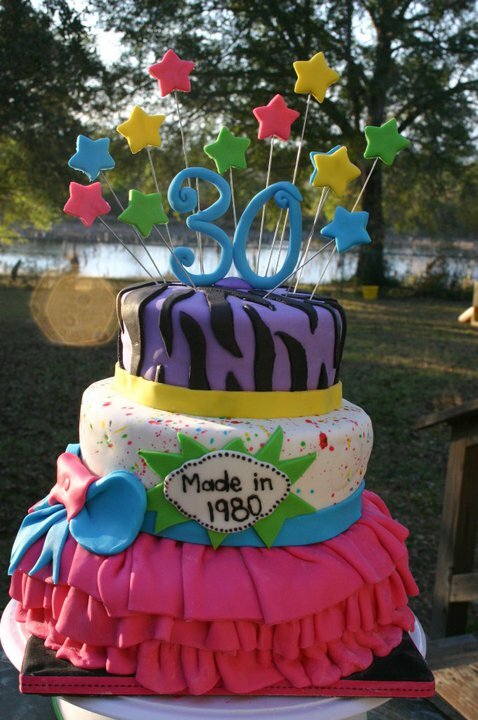 Want to see another 80’s themed cake, click here. 80s themed birthday cake with rainbow colors, smiley face, polka dots, stars, & hearts with pink, blue, orange, & green colors.